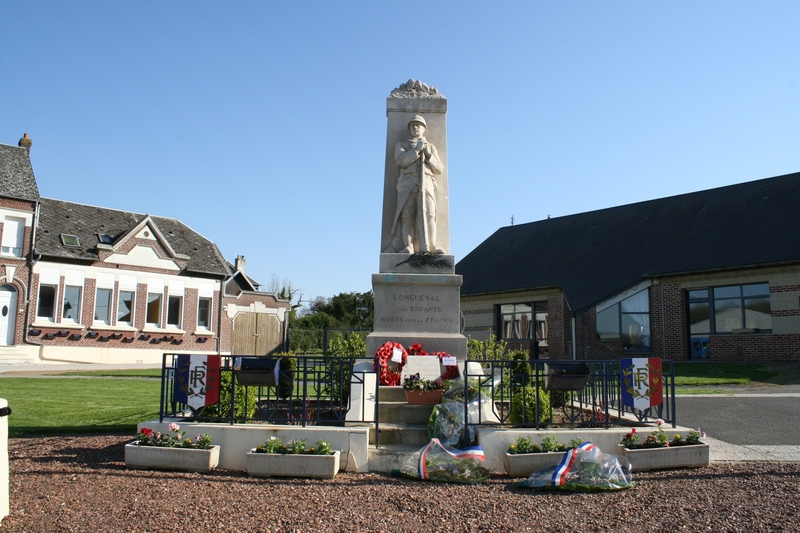 Longueval war memorial, on one side of the crossroads in the centre of the village. While we’re in the village, and as this is a brief stop, time, I think, for a little scene-setting. Following the failures to the north of the Albert-Bapaume road on 1st July 1916, the British decided to concentrate much of their efforts to the south, where comparative successes had been achieved, and over the next two weeks the German village strongpoints of Mametz, Fricourt, Contalmaison and eventually La Boisselle would fall. The second phase of the Battle of the Somme would begin on 14th July, as the British attacked along a 6000 yard front from Bazentin to the west to Longueval and Delville Wood in the east. 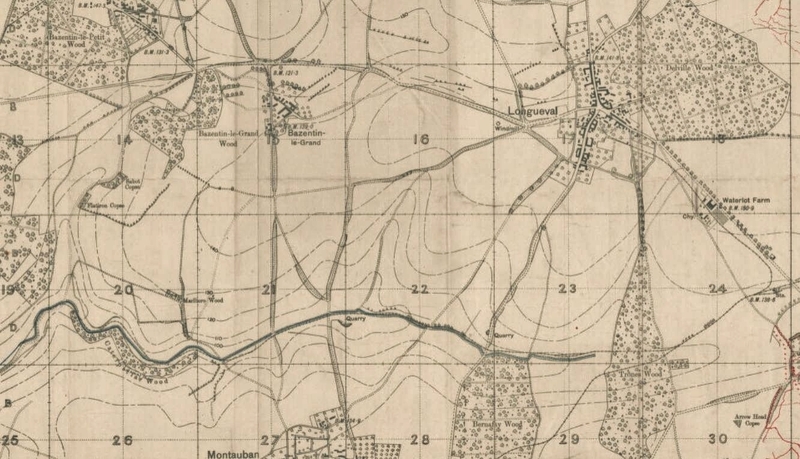 The Battle of the Bazentin Ridge (see trench map below – those of you who are good at contours) would, however, see decidedly different tactics used from a fortnight earlier, not least the successful and undiscovered movement of troops into position under the noses of the Germans – a captured German officer was heard to remark that their failure to send out patrols to find out what the British were up to was down to the lack of surviving N.C.O.s to lead them following the previous two weeks’ fighting – and the total control of the skies above by the Royal Flying Corps. Unlike the disastrous offensive of 1st July, this attack would begin at dawn with a five-minute hurricane artillery bombardment prior to zero hour, followed by a creeping barrage using only high explosive shells with delayed action fuses, and on this occasion the early stages would prove a complete success. By ten in the morning of 14th July 9th Division, striking north and north east from Bernafay & Trones Woods (Trones Wood had only been taken the previous day by 18th (Eastern) Division at a final cost of 4000 casualties) on the right of the British attack, had achieved most of its objectives, including taking the southern half of Longueval village and reaching the southern outskirts of Delville Wood, although a German strongpoint at Waterlot Farm (see map) had yet to fall as the day neared its end. The following morning, 15th July, would see the 9th Division begin the attempt to take its second objectives; the capture of the rest of the village of Longueval, and the attack on Delville Wood itself. 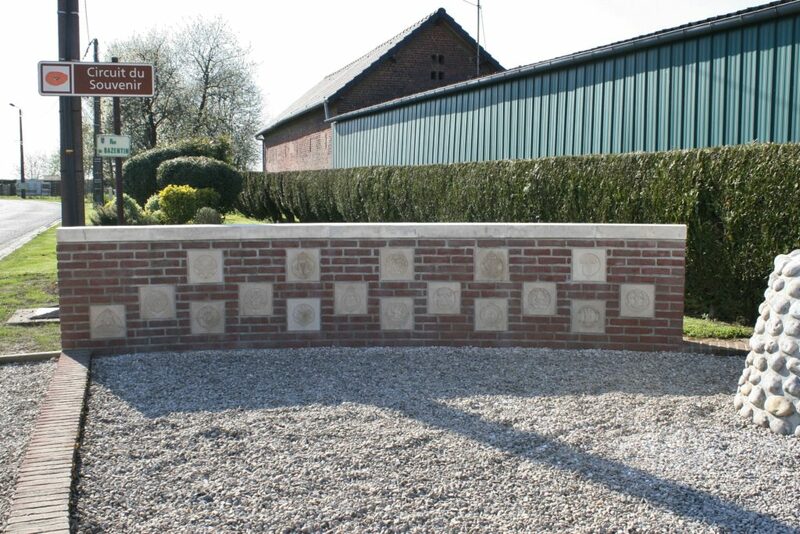 Back to present day Longueval. 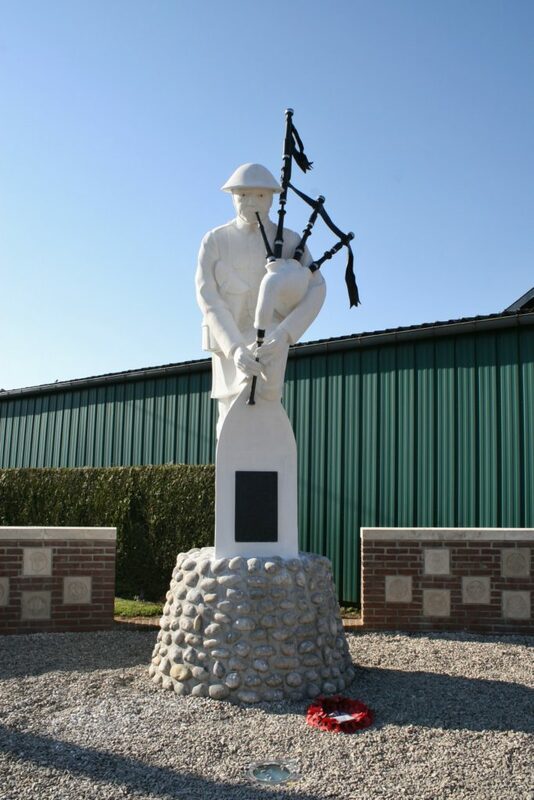 On the other side of the village crossroads, this is the controversial Pipers Memorial, unveiled on 22nd July 2002, depicting a piper in the act of clambering out of a trench whilst playing his pipes to encourage the men around him. That’s controversial, as in that it’s not really very good! In my opinion, anyway. And others. But we like the inscription. 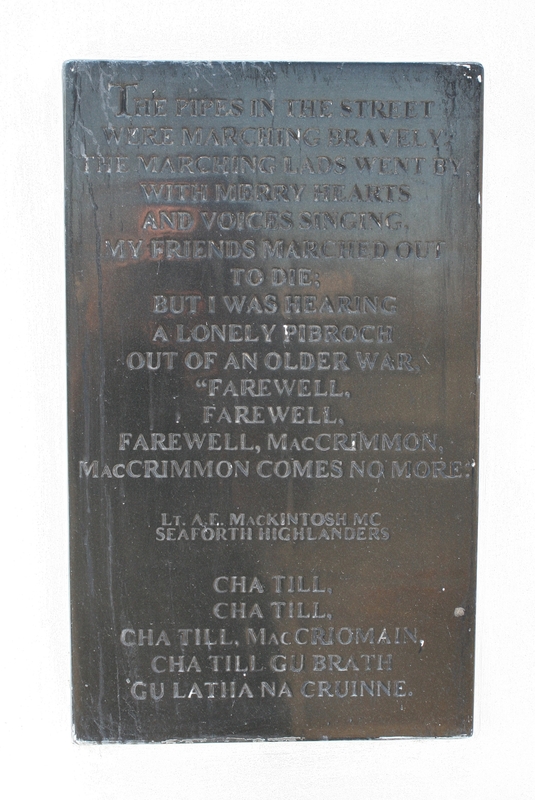 Lieutenant Ewart Alan Mackintosh MC, who wrote it, was killed in action on 21st November 1917 during the Battle of Cambrai, and is buried in Orival Wood Cemetery, near Flesquières. 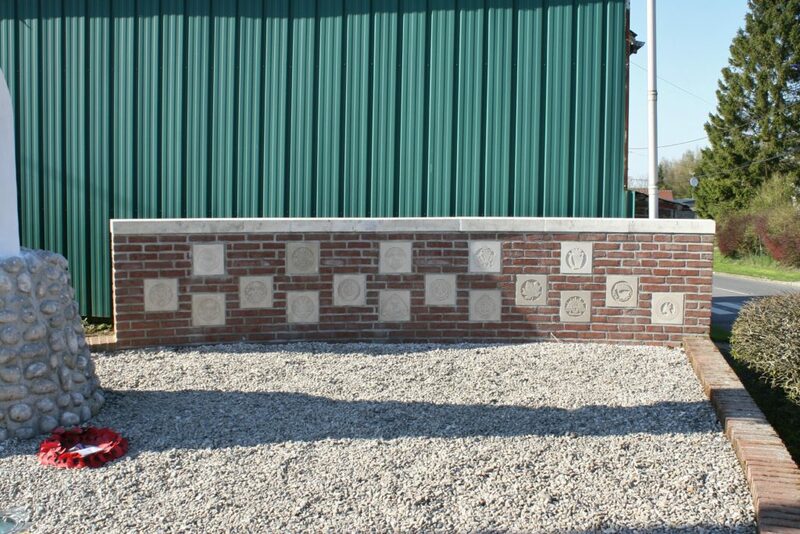 …are inset into two low brick walls behind the memorial. 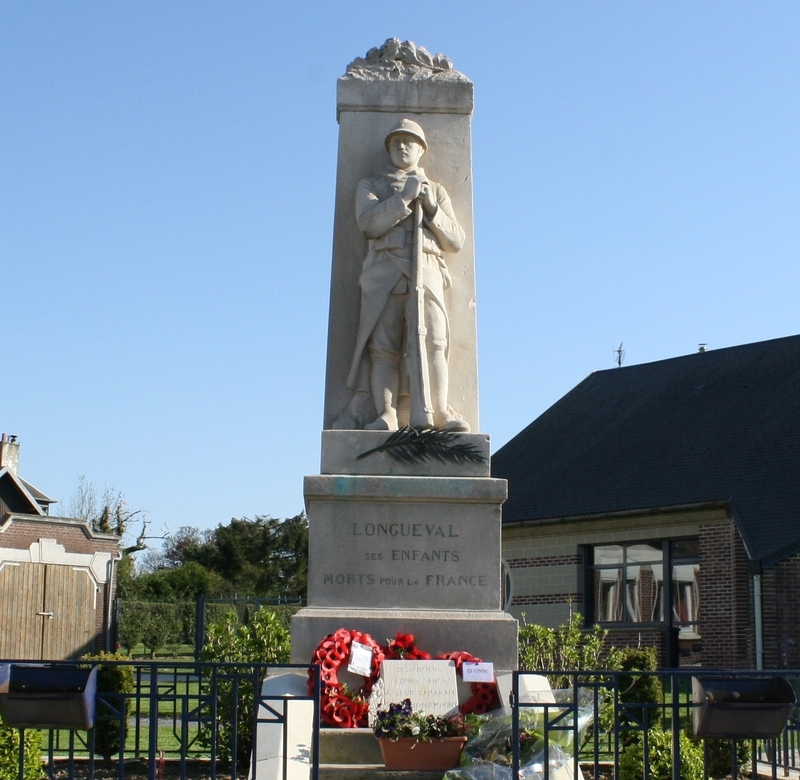 Just to the east of the village, the infamous Delville Wood – the Devil’s Wood – which saw such terrible scenes during the summer of 1916, and which we shall visit shortly. 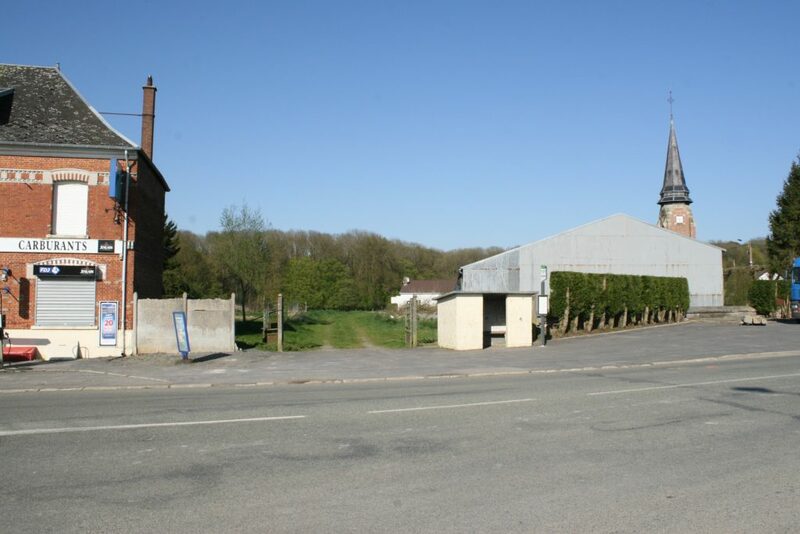 It’s impossible to imagine what this peaceful scene would have looked like exactly one hundred years ago today, as the men of 9th Division reached the village, little knowing that many weeks of fighting lay ahead before it would finally be in their hands. 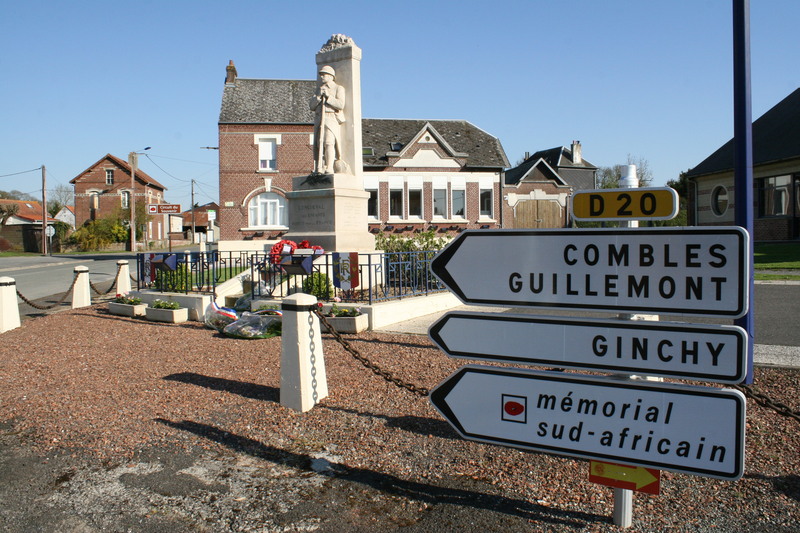 Before we visit the wood, however, there’s a cemetery on the outskirts of the village in which more than 5500 men, many of whom were found on the battlefields hereabouts after the war, were buried together after the Armistice, and where we should go to pay our respects first. This entry was posted in French War Memorials, The Somme. Bookmark the permalink. The South African memorial ‘tucked away’ in Delville Wood is spectacular. Hope you show that? Might do! You’ll just have to wait and see. Lol!